How to stop USB devices from disconnecting on sleep? I have a Dell Precision 5520 (laptop) and as it's my only Windows PC I'm unable to see if it's a Dell or Windows problem. I use various types of hardware such as CAN bus analyzers, MCU programmers and various others which each has their own software. The problem I have is that if the PC sleeps, upon wake up the software sees the hardware as disconnected. Some software crashes and some I have to reconfigure or mess around to get it to work again. Is there a way I can get the PC to sleep without disconnecting USB devices? Start the Device Manager (devmgmt.msc) in System Control. Most USB devices have configurable energy settings. You can change them to disallow energy saving in sleep mode. This post might also be relevant. Not the answer you're looking for? Browse other questions tagged windows windows-10 usb sleep dell-precision or ask your own question. 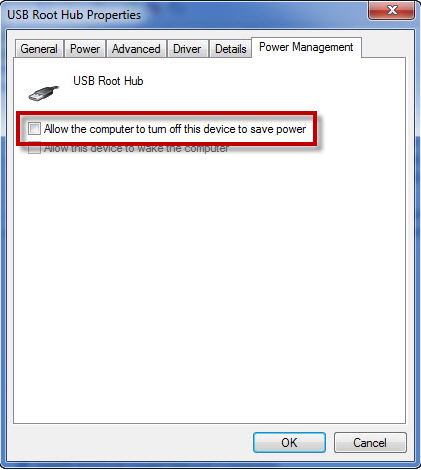 Can I stop USB devices from disconnecting when using KVM switch?